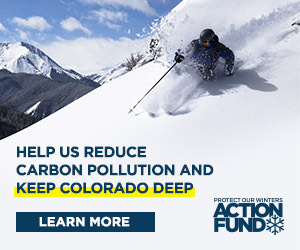 Trivial amounts of snowfall and above-average temperatures over the past two weeks are taking their toll on Colorado ski areas, and Crested Butte Mountain Resort (CBMR) is no exception. The resort plans on opening this weekend, but with less terrain than originally anticipated. The latest long-range forecast from Wednesday, November 14 is predicting sunny skies and little chance of precipitation until Thanksgiving. Average temperatures are not expected to drop until early next week, leaving CBMR’s snowmaking team high and dry before the anticipated opening day. CBMR general manager Randy Barrett says the resort still plans on opening up the Red Lady Express lift to the public on Saturday, November 17. Earlier this fall the resort anticipated having three of its high-speed lifts available for opening day, including access to Paradise Bowl, but Barrett says the recent warm spell has hampered their snowmaking abilities. “If we can get some cold temperatures we can start getting a lot of terrain open,” Barrett says, indicating that as soon as temperatures allow, the resort will focus snowmaking on the Paradise Bowl area. Barrett says in his 26 years at the resort the opening day has never been postponed and he takes a sunny outlook on the recent weather trend. “A lot of our best snow seasons started out like this,” Barrett says. Snowmaking facilities were first installed at CBMR in 1982. The resort will officially start forecasting their skier visits on Thursday, November 15, but Barrett says the first week’s skiers will be mostly locals. Barrett says if the locals come out in force the resort could see up to 1,500 skiers on weekend days, and 500 on the weekdays. CBMR is not the only ski resort hoping for cold weather. “The entire state is having the same weather,” Barrett says. Two thirds of Colorado’s 26 ski areas are tentatively scheduled to open next week, including Aspen and Snowmass. Wolf Creek is open for business and offering $10 lift tickets due to limited terrain, but their four inches of man-made snow are having trouble attracting interest. On Monday, November 12 the resort reported having only eight skiers, down from 60 the day before. Monarch ski area has received 20 inches of snow since October 1, but without artificial snowmaking the base area and lower runs are still dry. Monarch is scheduled to open on November 21. Bauer says extensive trail work done this fall should make preparing the Nordic trails for cross-country skiers easier once the weather turns. “When the snow does start falling we’ll be skiing sooner than last year,” Bauer says. Unfortunately, weather in general may be warmer than usual this winter, according to forecasters. Coupled with effects of global warming, this season is also turning out to be a “La Nina” year. Daniels says La Nina also impacts the movement of storm systems, forcing more big storms into the Pacific Northwest. As such, Whistler ski area in British Columbia has been receiving the good graces of Ullr, the snow god. Whistler currently has a 43-inch base and is expecting more snow this weekend.